Begum Jaan movie review: The climax is full of fire and faux brimstone and lots of speechifying, as the ladies of easy virtue become a gun-toting ‘fauj’. Begum Jaan movie review: The movie could have been an impactful drama full of memorable characters, led by its leading lady, Vidya Balan. 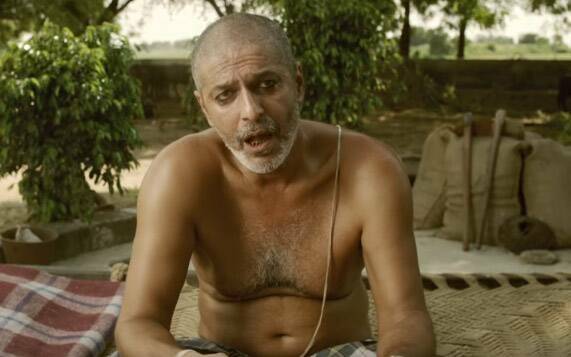 The story of the bloody birth of India and Pakistan is so inherently full of drama that any telling of any part of it needs a great deal of skilled restraint.That crucial thing is thrown to the winds in ‘Begum Jaan’, based on ‘Rajkahini’, Srijit Mukherji’s Bangla film. I haven’t seen the original, but this, meant to be a faithful remake, climbs to a high-pitched melodramatic perch, and progresses in episodic lurches, never coming down. Which is a pity because ‘Begum Jaan’ could have been an impactful drama full of memorable characters, led by its leading lady, Vidya Balan. Dressed in flowing robes, eyes lined with kohl, puffing on a hookah, lording it over her ladies, pardon the pun, Balan plays a madam who runs a brothel, slam bang in the midst of all the action. In the tumultuous days that lead up to the Partition, the location of the ‘kotha’ becomes an ironic inflection point : the house where women sell their flesh without checking religion and caste is about to be divided, the line drawn by the British cleaving it down the middle. The women, who live with an old ‘dai’-like white-sari clad figure (Arun), a burly Pathan guard, and a jovial fellow (Tripathy, one of the better things in the film) who is everyone’s companion and one woman’s ( Khan) true love, turn fierce protectors of their turf. Just like the more ‘respectable’ citizens around them, they do not want their house divided. Many elements in ‘Begum Jaan’ remind you of older, better films. The whole concept of a brothel run by a crude, foul-mouthed feisty madam appears to have been lifted from Shyam Benegals excellent ‘Mandi’. The ecosystem of that brothel and this one is similar too, but that one we believed in : this looks all dressed up for the next shot. The casual cruelty of those in power, even if receding, exercised especially over vulnerable women ( Naseer’s increasingly weak ‘raja’ who is both patron and ruthless predator) is so much like Ketan Mehta’s classic ‘Mirch Masala’. Naseer was in both ‘Mandi’ and ‘Mirch Masala’, both of which redefined gender politics in the way they outlined the interplay between the sexes– men, women and others– and the strong and the meek : time to pull them out for a revisit. Also read |Begum Jaan box office prediction: Vidya Balan film to face competition from Fast and Furious 8. Will word of mouth help? There’s a great deal of stiltedness and awkward dialogue between Kapur and Vidyarthi, who play, respectively, the Muslim and Hindu officials overseeing the drawing of the line, their truncated faces peering at us from the sides of the screen : at first I thought there was something wrong with the projection, and then realized it was deliberate. It may have been done perhaps to emphasise the divide between two people, two religions, but as a device, it is embarrassingly clunky. The only one who seems to be totally in synch with the jerky heightened silliness of the enterprise is Chunky Pandey who plays a creepy bad guy, hired to get rid of the pesky prostitutes : if they won’t go quietly, they will have to be forced out. A plot that could have turned into a powerful allegory – you divide people at your peril, for tragic temporary fixes and zero lasting gains–is run aground. And the climax is full of fire and faux brimstone and lots of loud speechifying, the ladies of easy virtue turning into a gun-toting ‘fauj’, before invoking a certain Rajasthani ‘rani’ who is currently the subject of a film with a troubled trajectory. Such a waste of a talented bunch of actors. And of Balan, who tries hard to invest some feeling into a role which turns into a cliché the moment the film opens.